The past couple of months has seen gold steadily increase, largely in part to a weakening of the dollar. Recently, the dollar has begun to show signs of strengthening so as a result the price of gold has tapered off a bit. This is a bit of a mixed blessing as although some value was lost by those who bought when gold was trending up during the last couple of months, the signs now clearly show that we have entered another buy phase. Overall, the upward trend for the beginning of the year has seen the price go up by 12% (after the latest pull-back) and at some point it went as high as 30% (above $1780). There is widespread agreement that gold will hover around the current $1700 mark for a bit before headed on its projected trajectory of $2000 and beyond. It can not be stated enough that this could perhaps be the best buying signal of the year. Even with gold pulling back due to the strengthening dollar other seasonal factors will begin to gradually drive gold prices up. Specifically, China and India often contribute to price increases through driving consumer demand during the quarter. Jewelry purchases comprise of 75% of all gold transactions and these two countries dominate that trade. The speed and magnitude of this impact is debatable, notwithstanding the price of gold will be affected in a favorable way for investors. Institutional demand though may be driven by the Europeans as there are still concerns about the resilience of the Euro and the wider impact of Greece and Italy’s problems. Demand will perhaps not be as aggressive as it has been in the past couple of years as there is a sizable camp that declares the worst is behind us; nevertheless we are not out of the woods yet so further stabilization through gold will undoubtedly occur. Another driving factor on the institutional demand side is that national banks of the developing world are increasingly beginning to hold gold, to the magnitude of 500 tonnes over the past couple of years. We should expect to see further purchasing by central banks of developing countries over the next couple of years, pushing the price of gold gradually higher. All-in-all there are several factors why the price of gold will head higher during 2012 from the buy phase we are currently within. The question only remains what to do in order not to be left out. 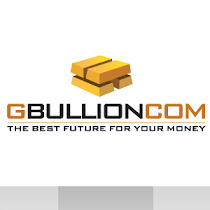 Dubai-based GBULLION DMCC (gbullion.com) is a trusted name in the Online gold investing space having the flexibility of serving novice investors through their strategically designed Internet presence as well as the know-how to provide expert face-to-face service with larger scale investors. They are poised to be one of the dominant brands as the price of gold makes its move to the $2000 level.